Latin American Animation Day showcased short films from Mexico, Chile and Brazil, including “Inner Workings,” a Disney short film directed by Brazil-born Leo Matsuda. As a tribute to the late Bill Melendez, there was a section showing his various works for Disney, Warner Brothers and Charles Schulz. Tom Sito, a friend to Melendez, spoke about the various projects and styles Melendez typically did for his assignments. Sito is a professor of animation at the University of Southern California and has done work for Disney such as “Who Framed Roger Rabbit,” “Beauty and the Beast,” “The Little Mermaid” and many other projects. “In the 1950s, Melendez had done some of his best work during his time. This is during the time he began working with Schulz. He had done the voice of Snoopy for the show and the movie, in ‘The Peanuts Movie (2015)’ he is the voice of Snoopy, they used his original recordings,” Sito said. In the Mexican films they show animations with a wall separating the two characters, which is referring to the United States and Mexico border. The Brazilian animations show the destruction of forestry in the country by industrialization. The films didn’t use voices just music throughout. The two films from Brazil won Academy Awards in 2016. The panel for the question and answer section included: Sarah Baisley, Enzo Baldi, Leo Matsuda, Jean Thorean and Tom McLean. “I had envisioned the way the story was going to plan out. One of the approaches I recommend to upcoming animators is just going with what you think is the best for the film or short. The most challenging part of creating this short was trying to give the brain, heart, lungs and the entire organs of the human body the proper characteristic,” Mastuda said. Both Baisley and McLean believe that the most important thing to remember while creating a storyline is to be direct. “The best short is the shortest short,” McLean said. Being direct in the storyline and not losing the audience is one of the main objectives the animator and storyteller should keep in mind. The event is in collaboration with East Los Angeles College and Cinema Without Borders. I had the honor of knowing personally Bill Melendez and work with him in many spots starring Peanuts and aired in Brazilian televison . 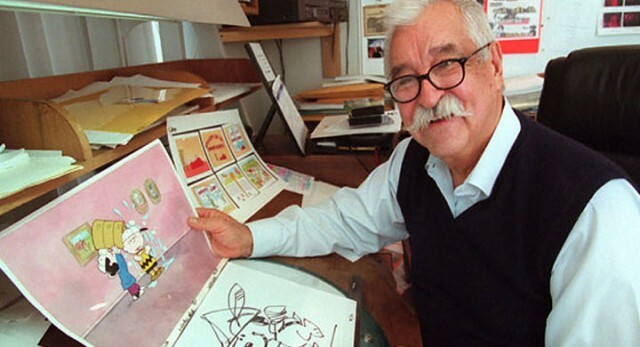 Mr Melendez loved those characters and taught many of his ‘tricks’ when animating them. More than one time we lanched together and in these occasions, he talked also of the experience in working in Disney studio, when he colaborated in the Pinocio animation. Mr. Melendez believed in my work and trusted me to make all Peanuts spots in Brazil. By all these things, I’d loved to have participated of this homage to Bill Melendez.I am desolated not to be invited to it.